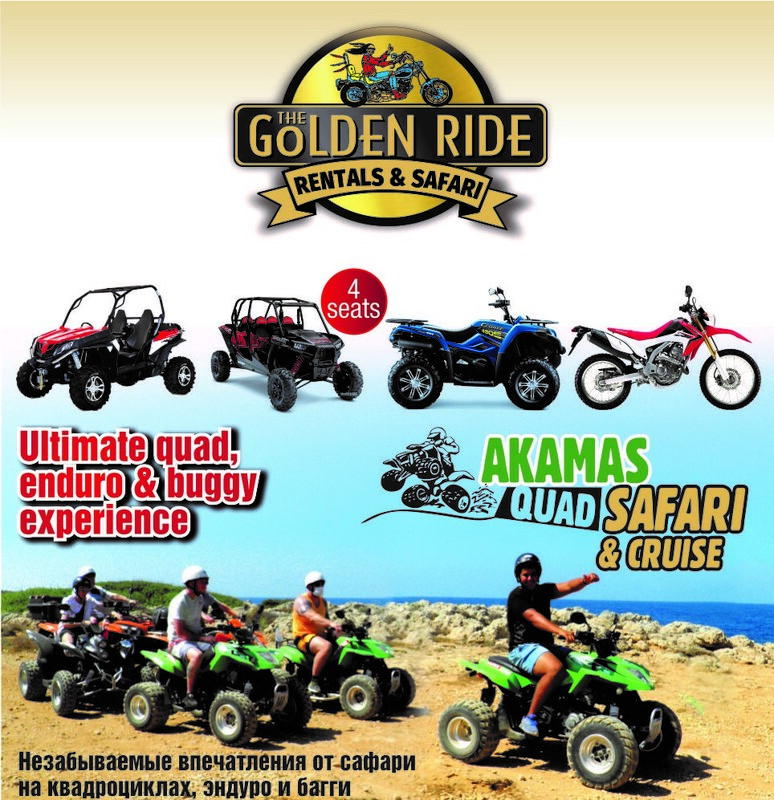 Welcome to the Golden Ride Rentals, providing unforgettable experience! 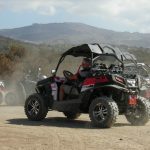 Whether you want to have fun on quad bikes, buggies, motorbikes or bicycles, we have it! 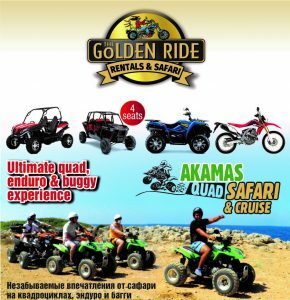 Golden Ride Rentals – the cool way to explore Cyprus! 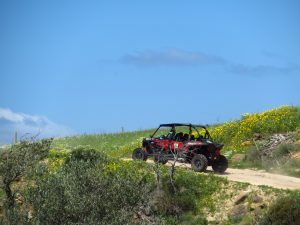 We offer safaris for all abilities in the picturesque Lara Nature Reserve, Akamas National Park and the surrounding area, as well as private rent of road and off-road motorbikes, quad bikes, buggies and bicycles. 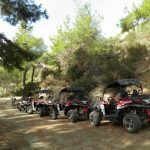 We are the only company in Paphos that has 8 safari routes to pick from – which means we cater for anyone, from a beginner to those with some ATV experience, as well as advanced Enduro riders. Transfer from all major hotels can be arranged although we provide free parking in case you have rented a car and prefer to arrive in comfort. 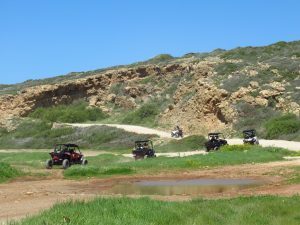 We prefer to avoid traffic-heavy roads so we avoid Paphos town and start our trips from Coral Bay – which is the closest inhabited point to the Nature Reserve itself. This way, we keep the time spent on asphalt to a minimum! 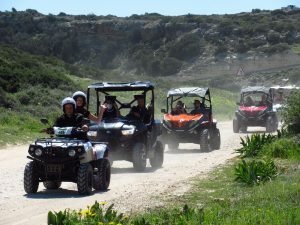 We also offer an ultimate off-roading experience – our 5h safari is for those confident enough to drive their quad or buggy along the cliff edges on narrow mountain roads. 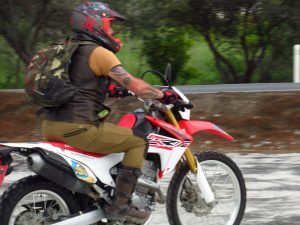 This route allows you to see both sides of the island as we spend quite some time riding on the top of the mountain range. 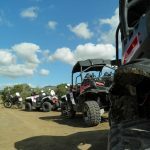 All safaris can be enjoyed on quad bikes, buggies and Enduro motorbikes. 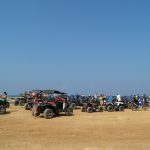 We also rent a variety of quad bikes, buggies, motorbikes and bicycles (mountain and city bikes) for individual use. Want to have a taster? Check out our interactive maps! Explore the Sea Caves, Saint George’s church and little marina, Lara (Turtle) bay, Akamas forest – those are all places you can now visit in person with us! You are very welcome to visit one of our shops in person, call or email us. Our prices are very affordable and staff – friendly. 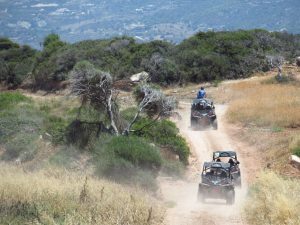 Did you know that Akamas Peninsula is the last large unspoiled coastal area remaining in Cyprus and one of the very few important sea turtle nesting grounds in the Mediterranean? Two species of turtles, the Loggerhead Turtle (Caretta-caretta) and the rarer Green Turtle (Chelonia mydas), nest in Lara / Turtle Bay. Since 1989 Lara coastal region was declared a Protected Area. 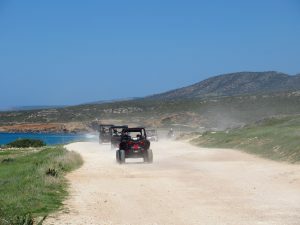 Visiting Lara is a prominent feature of our safaris – you can enjoy a refreshing swim in the bay as well! And we explain more about the turtles, their life and breeding while we are there!